Find Hibernate performance issues before they find you! Hibernate and JPA are so easy to use that you can learn the basics within 1 or 2 hours. But the problem starts as soon as you build an enterprise application. The number of users increases and you face challenging performance requirements. That's often the beginning of long hours of analyzing log files and asking questions on stack overflow. But that doesn't have to be the case. Hibernate can easily handle the load and performance requirements of enterprise applications. You just have to know how and when to use some of the advanced features. And I will show you how to do that in this training. 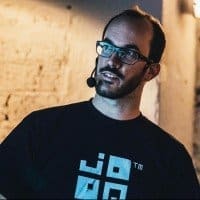 Thorben not only excels with his knowledge about modern JPA API usage – he also consistently stresses the importance of knowing the underlying SQL technology. As a very SQL-oriented person, I’m very happy to have visited this very informative ORM course, which helped me better understand the persistence perspective.